'Hilarious, compelling, painful, enlightening, honest. I loved it.' - Dolly Alderton'Brilliant, timely, funny, heartbreaking' - Jojo Moyes'A vital, often very funny novel' - The Sunday Times'Inspirational, funny and wise' - Kit de Waal'Perfect for anyone who loves Fleabag' - Mail on SundayQueenie Jenkins can't cut a break. Well, apart from the one from her long term boyfriend, Tom. She's trying to fit in two worlds that don't really understand her. It's no wonder she's struggling. She was named to be queen of everything. 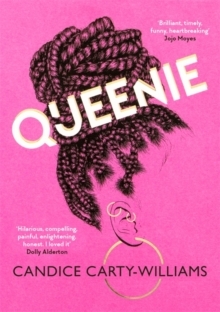 So why is she finding it so hard to rule her own life?A darkly comic and bitingly subversive take on life, love, race and family, QUEENIE will have you nodding in recognition, crying in solidarity, and rooting for this unforgettable character every step of the way. Perfect for fans of Dolly Alderton, Elizabeth Day, Sally Rooney and Diana Evans, and anyone who loved Fleabag. 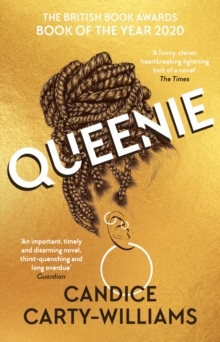 ********Praise for QUEENIE:'I was engrossed and loved Queenie - her humour, her pain, her politics, her friends, her family.' - Diana Evans'Candice gives so generously with her joy, pain and humour, that we cannot help but become fully immersed in the life of Queenie - a beautiful and compelling book.' - Afua Hirsch*This book has been printed with three different colour cover designs. We are unable to accept requests for a specific cover.